"WASHINGTON (AP) — FBI Director Chris Wray on Wednesday defended the FBI’s background investigation of new Supreme Court Justice Brett Kavanaugh, saying the work was limited in scope and that the “usual process” was followed by his agents. 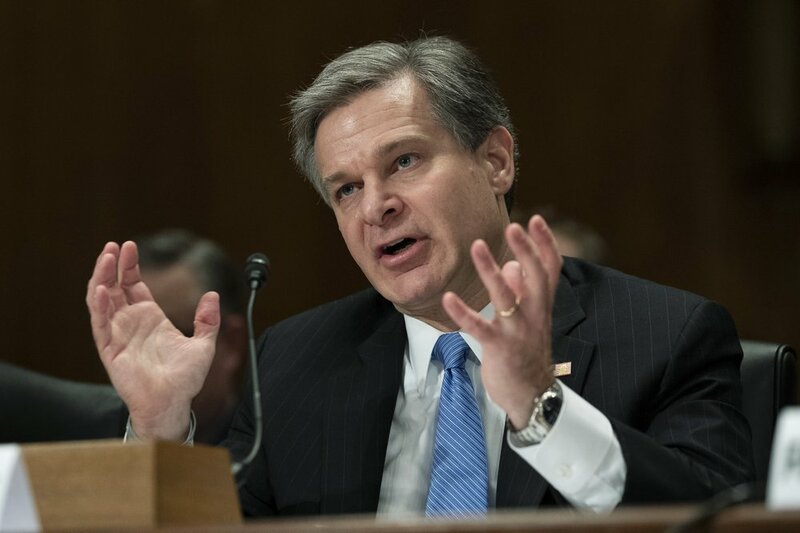 Wray, responding to questions from Sen. Kamala Harris, D-Calif., said that unlike criminal or national security investigations, the FBI’s authority in background investigations is determined by the agency that requested it — the White House in this case. “That’s not something I can discuss here,” he said."